With more caffeine than Redbull! 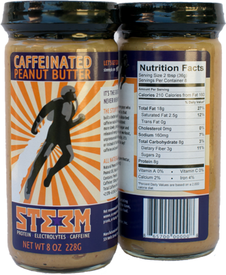 STEEM has 170 milligrams of caffeine per serving — and could pose a danger to people who eat it not realizing just how much of a jolt they are getting from an otherwise normal-looking spread, Sen.Charles Schumer warned on Sunday. What do you think? Would you partake? Too much hype?